Today I had a million things to do and I just couldn’t deal with dinner. Those days are perfect for bringing out the slow cooker! 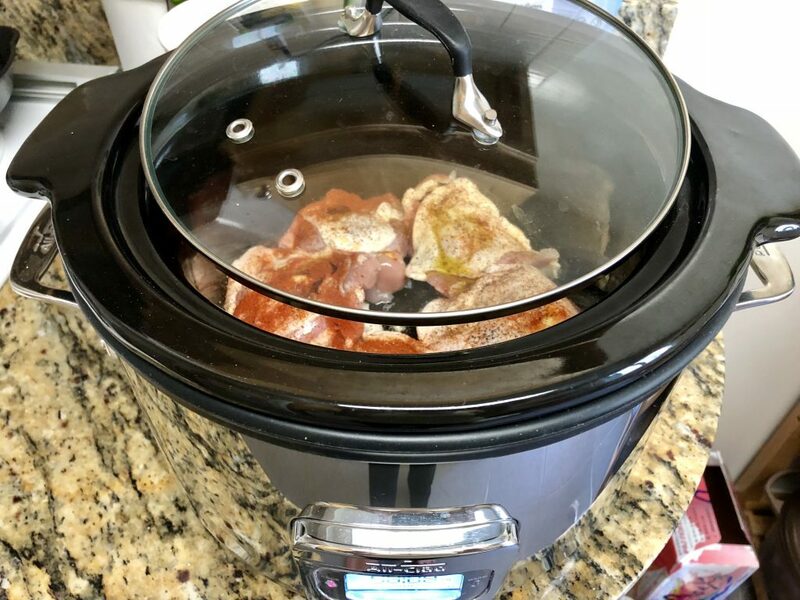 This Slow Cooker Crispy Chicken Thighs recipe has less than 5 minutes of preparation, so see ya later dinner! The perfect dinner solution for when you just can’t. Crispy chicken skin from a slow cooker is a culinary unicorn, so give it a try! Spray the bottom of your slow cooker with cooking spray. 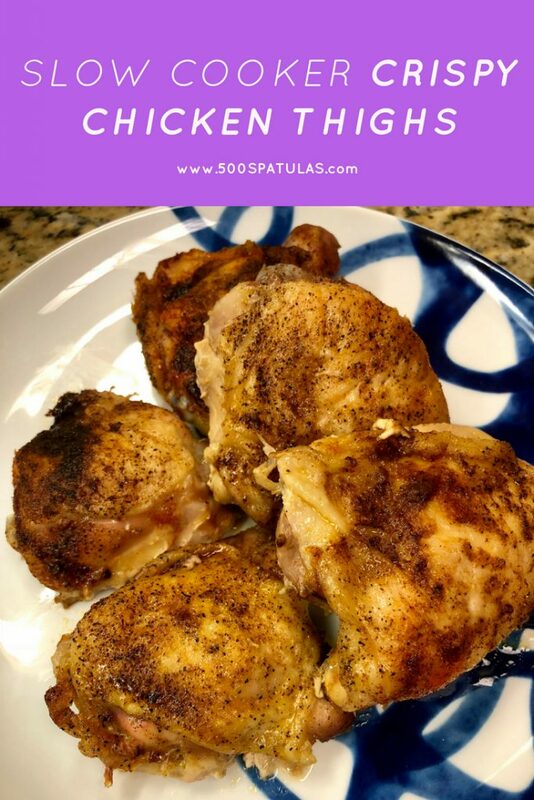 Place the chicken thighs in a single layer, skin side up. 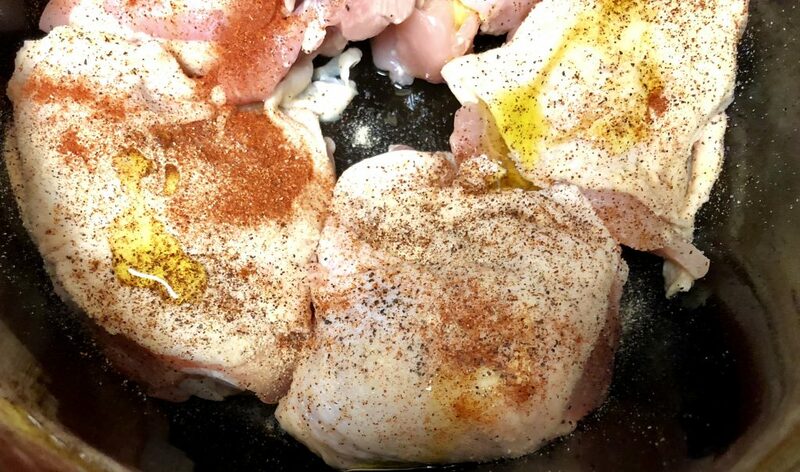 Season the chicken thighs with equal parts of all of the spices. 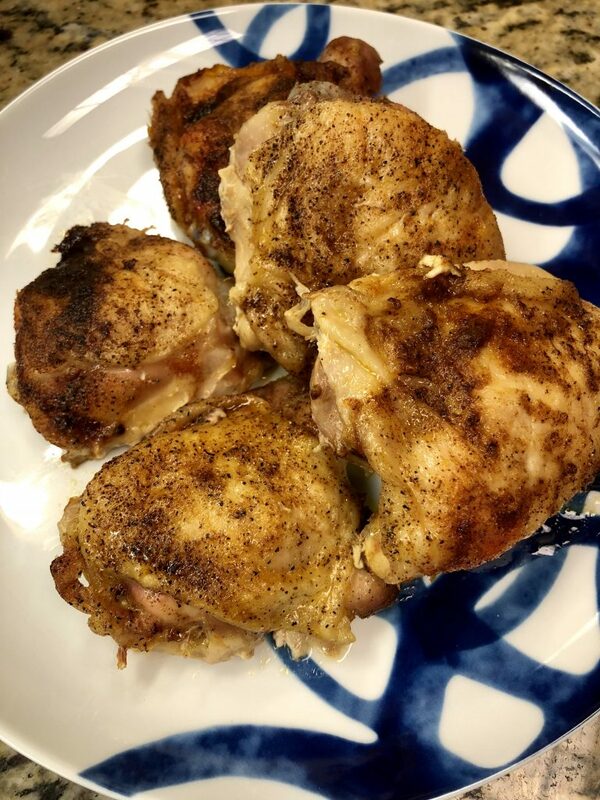 The chili powder and paprika really help the chicken get it’s rich color, so don’t skimp on those, but feel free to mix it up and tweak to your taste! 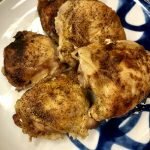 Drizzle the chicken thighs with olive oil. Not a lot is needed, but this will make your skin a bit crispier. Cover the slow cooker with the lid, but leave it vented slightly. This will ensure the chicken thighs don’t steam, and crisp up. 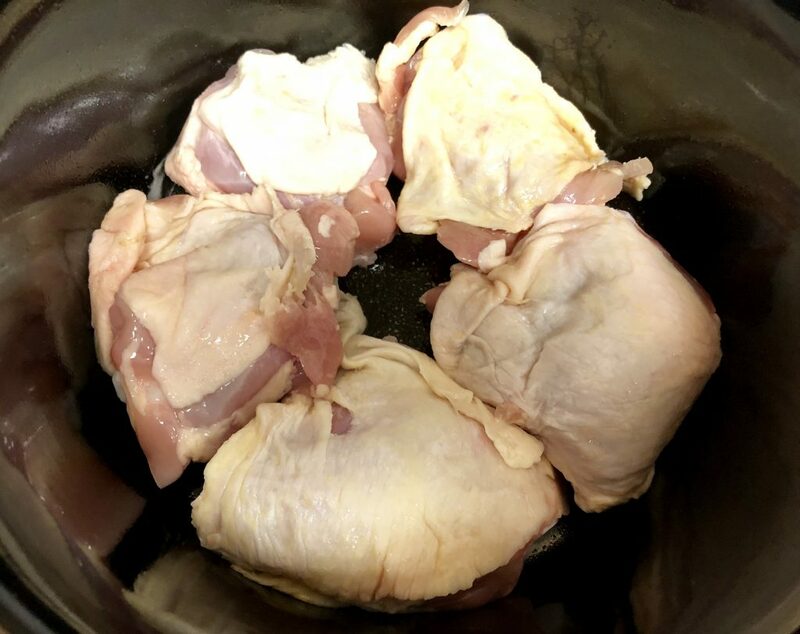 Set your slow cooker to LOW for 5 hours or until the internal temperature of the chicken reaches 165 degrees. Check the temperature and baste the chicken around 4 hours. NOTE: When taking the internal temperature of bone-in chicken, it’s important to ensure your thermometer is not touching the bone. The temperature of the bone will be higher than the meat and can be misleading. Spray the bottom of the slow cooker with cooking spray. 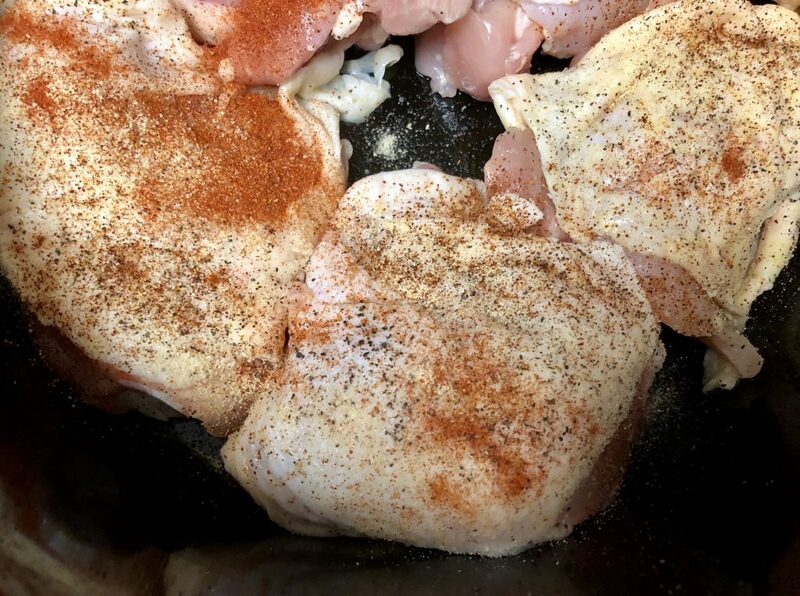 Place chicken thighs skin side up in one layer in the slow cooker. Season the chicken with equal parts of the spices. Feel free to tweak these to your taste! Cover the slow cooker with the lid, but leave it off/slightly vented. 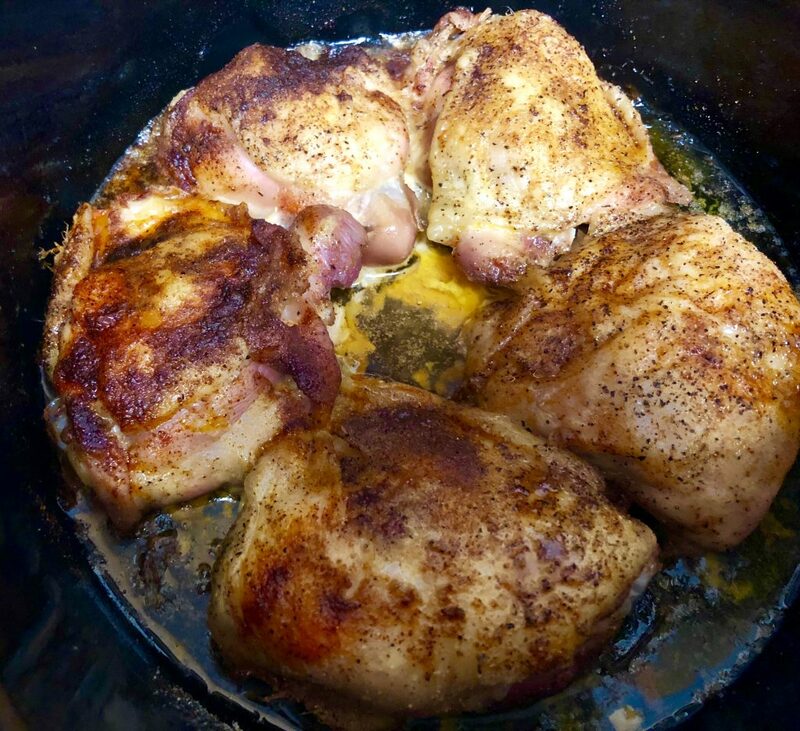 Cook on LOW for 5 hours or until the internal temperature of the chicken reaches 165 degrees. Baste the chicken and start checking the temperature after 4 hours.